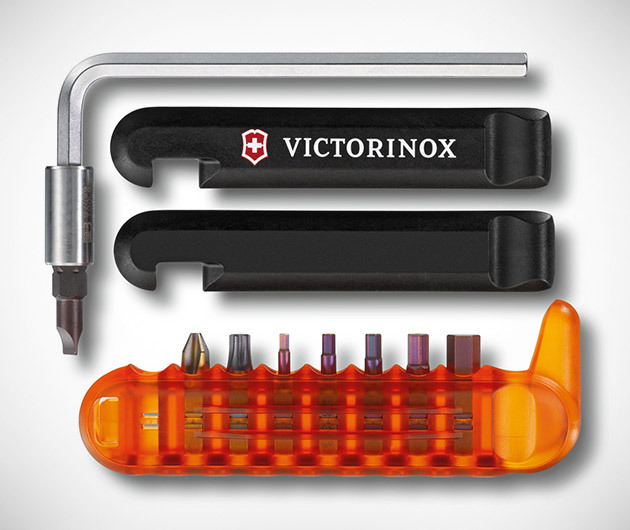 Those good ol' Swiss Army brains have gone and made our outdoor lives even easier, again, with the Victorinox Bike Tool. The latest addition to the legendary collection boasts an L-wrench, 8 oft-used bits, an adapter, holder and tire lever. It weighs only three and a half ounces, but don't forget, you'll still need a pump.